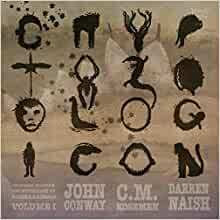 Cryptozoologicon is a celebration of the myths, legends, evolution and biology of hidden animals. Always sceptical, but always willing to indulge in speculative fun, Cryptozoologicon aims to provide a new way to approach cryptozoology: as fictional biology. Start reading Cryptozoologicon: Volume I on your Kindle in under a minute. If you read this as an introduction to realistic study of crytozoology you will probably enjoy this book. If you have already read on the subject to any great degree it is a bit light regarding substance. That said for the low price you pay it is worth looking at. I bought the Cryptozoologican after starting to listen to the Tetrapod Zoology Podcast - run by the authors. The banter and discussions of presenters rekindled my childhood interest in cryptozoology. As an ecologist I was interested in the attempts the book makes to place the 'mystery creature' into a real context. The pictures are great and the style is upbeat and jovial. It may not appeal to some but for anyone with an interest in a scientific analysis of mystery creatures. The only reason I didn't make it a full 5 stars is because I would have liked even more science. I would be interested to see analysis of the ecology of these species not just the possible evolutionary development of the species. Excellent work and I m looking forward to Volume 2. A lovely, funny and scientific rigorous romp through the cryptozoological zoo. Great Lovecraftian references, especially the flying polyps at the end. I've now read this a few times, and enjoyed it even more. There's a lot of material densely packed into well-written and clear prose, and I'm having loads of fun tracking down and going through the references. 5.0 out of 5 starsExcellent book, if you are in to cryptozoology or even just zoology! I have been listening to the Tetzoo podcast for a few months no, and after the authors talking about this book I felt the need to finally give it a go... and I am glad I did. The illustrations in the book are excellent, and the way the book reads is amazing. We just need volume two now, which I have heard is going to be released immanently !! 5.0 out of 5 starsTop notch Illustrations, combined with skepticism and speculative fiction. Through my long obsession with Cryptozoology, it pains me that even the best, most comprehensive books on the subject have little in the way of original, high quality illustrations. Many describe the entities well in the text, enough to give a mental picture, but the majority of cryptozoology books are compendiums of information on the subject, compiling sightings and hypotheses about these mystery creatures. Even the greats such as Sanderson and Heuvelmans are very sparse with proper illustrations, the illustrations in Bernard Heuvelman's books are so forgettably plain that they are not noteworthy. One problem is, that many current cryptozoologists do not have the proper funding to employ many artists. 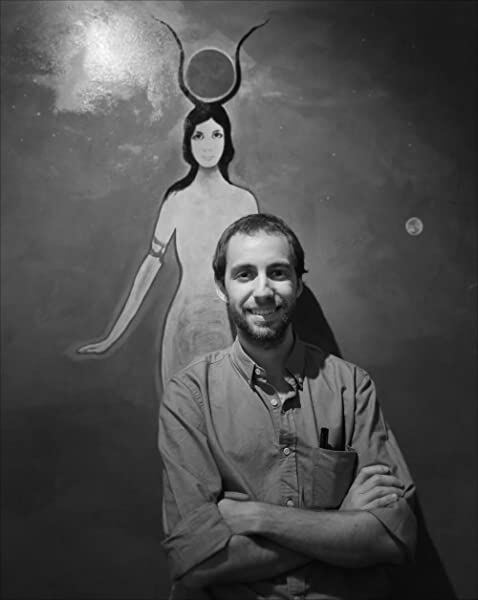 Loren Coleman is a notable exception in having one or two devoted illustrators that have provided many, many black and white depictions. I myself produce cryptozoology illustrations for some clients, but I am paid in merchandise (complimentary copies of the books), simply because I have a thirst for crypto books in the first place. It is unfortunate that I can count on one hand, the books about Cryptozoology that posses truly striking, original artwork. One of which is a very lavish children's book, one is the skeptical tome "Abominable Science", one is Loren Coleman's Hominoid Field Guide, and one very exhaustive French handbook that was never released in English. The 2 recent books about sea monsters on renaissance and medieval maps also warrant inclusion, but their illustrations are historical documents, not originals. "The Cryptozoologicon: Volume 1", which will soon have a sequel, instantly rockets to the top of this list. Each creature entry, of which there are 28, provides a truly beautiful, realistic color portrait of each cryptid. Accompanying this are 3 sections of text per entry. The first is about the sightings and general context, the next is a skeptical paragraph about the likelihood or lack thereof, to its existence, and the third is a piece of speculative fiction as to the nature of the creature, as if it were actually real. The book takes pains to point out that they do not endorse the un-supported existence of any folkoloric creatures, in fact, some cryptids covered in the book are either disproved, false, or fake. The main point of the book is not the investigative nature of many crypto books, but viewing this modern mythological bestiary as what in most cases, it truly is, creative exercises in speculative thought. After a long love-affair with Cryptozoology, this book has brought me to an epiphany. The fact that these mystery beasts probably do not exist, is not really a bad thing, nor is it a smirch on the reputation of any cryptozoologists. It isn't a bad thing, because the sightings, investigation, and resulting speculation have become a contemporary equivalent of the long-gone annals of Greek and Medieval mythology. That is, of course, perhaps not real, but damn good storytelling. Creatures seemingly exist in our minds and collective conscious, as much as the material, natural world. I eagerly await the second edition, which will be a sequel. apparently the author and illustrators became so enthused with their speculative ramblings, that they will soon have enough for a second book. Sooner rather than later, I hope. This is Volume One. More volumes are possibly on the way (at least one more). The authors seemed to have great fun with this one. The introduction is cryptozoology in a nutshell, with a smart, skeptical, scholarly point of view - the kind I prefer. Each entry is a summary of what is known or conjectured about the cryptid. Then the authors crank up the fictional biology to 11 and even push the limits of popular cryptozoo-ers, while remaining generally within the confines of zoology, to indulge in descriptions and illustrations of the proposed animals. There is no "belief" or religiously fed need by these authors to PROVE this or that animal is real. It's straight zoology blended with art, folklore and a creativity fueled by love of this topic. This book is a few reading levels above your average pop cryptid book, which is good, I think. There is nothing bad about raising the bar. 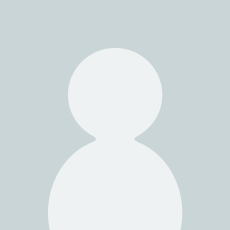 The Cryptozoologicon picks at the foundation of the field and finds it rather holey. They advocate a new approach to the subject - a more rigorous, rational, less ridiculous approach. However...parts of The Cryptozoologicon are very very silly. That was clearly the intent. The hoop snake makes an appearance. The chupacabra becomes a very large opossum called "Deinoroo"; only a matter of time, they say, until it graduates from attacking livestock to targeting humans. I enjoyed the treatment of "rods" as the most ridiculous of all proposed cryptids; the resulting speculative animal turns out to be gloriously preposterous. This is speculative zoology at its finest. 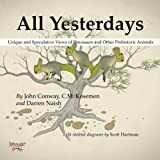 Paleozoologist Darren Naish and his artist/writer companions have produced a new kind of cryptozoology book: wonderfully illustrated, uniquely organized, and likely to be misquoted endlessly on the Internet. The book has short entries on 27 “cryptids.” Each covers (very briefly) the established facts: the likely solution: and, most entertainingly, speculation as to what the animal involved might be if it is in fact an unknown species, even if the authors (as they do in most cases) have already dismissed it as having a prosaic explanation. Naish and company are dismissive of most cryptozoological research: indeed, the satirical comments can approach the savage at times. They are especially hard on originators Heuvelmans and Sanderson for founding a field based on speculation, and perhaps a little easing up is called for: Heuvelmans did do an enormous amount of research, and Sanderson had decades of field experience as an animal collector. But Naish, the lead text author, has never had much patience for people who, however qualified, hear of an animal “with planks on its back” and leap to the possibility of a surviving stegosaurus. He complains that prehistoric animals are being “theorized into life” before more likely scientific explanations are properly considered. The authors have some sympathy in a few cases: they don’t entirely dismiss the long-necked seal and the orang pendek, for example. When the authors indulge in speculation about what creatures might be if they are real, sometimes they are clearly tongue in cheek (a giant opossum as the chupacabra) but in others, like the yeti, offer in jest some of the same speculations other cryptozoologists have offered in all seriousness. The Introduction is clear that none of this is to be taken seriously, but it will be – these bits, unmoored from their satiric context, are likely to be set adrift among internet sites with the tag “According to the well-qualified Dr. Darren Naish…” They will collide and splinter like icebergs, bumping and scraping against more serious writings, and I suspect the authors are in for a lot of unwanted emails, maybe for the rest of their lives. But the authors, especially Naish, obviously know what they are letting themselves in for and have taken the plunge anyway. Good for them. While I think cryptozoology is more than “fictional biology,” a lot of it is extremely unsatisfactory as science, and the Cryptozoologicon is a highly original effort to skewer the poor efforts carried out under that banner and offer entertaining and sometimes enlightening speculation.